More May madness lined up… we’ll be there, manning a stall, flogging our wares, possibly drunk …come and take advantage! 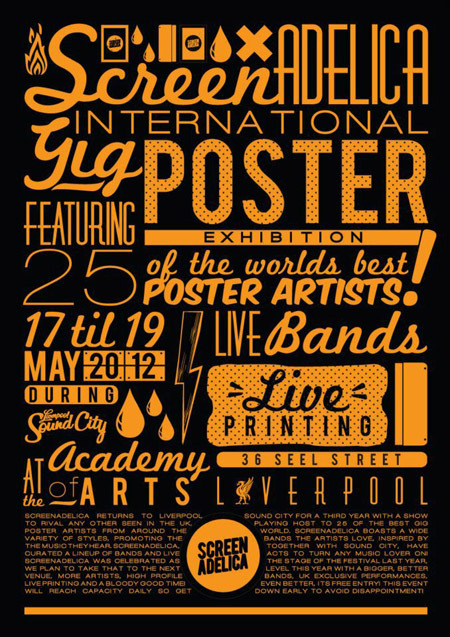 This entry was posted in Exhibitions, Festivals, Gigposters, Screenprints and tagged affordable art, art, collectables, exhibition, festival, limited edition, liverpool, liverpool sound city, petting zoo, print, Prints, rock n roll, screenadelica, screenprint, serigraphy, UKPA. Bookmark the permalink.